“The Force” will be strong in Anaheim as Star Wars Celebration recently announced it will gather next at the Anaheim Convention Center April 16-19, 2015. Attendance at previous Star Wars Celebration events reached in excess of 30,000 attendees. With the upcoming release of the next Star Wars film, Reed Exhibitions, which organizes Star Wars Celebration, anticipates that the attendance of Star Wars Celebration VII will be closer to 35,000. Reed Exhibitions estimates that the show typically generates $28 million to the local economy. Tickets to the 2015 event are on sale now. For more information visit www.starwarscelebration.com. Reed Exhibitions organizes 500 events in 41 countries. In 2012 Reed Exhibitions’ events brought together 7 million participants from the Americas, Europe, the Middle East and Asia Pacific. Events organized include trade and consumer exhibitions, conferences and meetings. For more information, visit www.reedexpo.com. The Anaheim/Orange County Visitor & Convention Bureau (AOCVCB) is Orange County, California’s largest destination marketing organization. It is a non-profit marketing organization dedicated to promoting Anaheim/Orange County as a premier leisure, convention and meeting destination. For more information, call (714) 765-8888 or visit anaheimoc.org. Follow the AOCVCB on Facebook (AnaheimOC), Twitter (@Anaheim_OC) and Pinterest (AnaheimOC). Roddenberry Dive Team’s Comic-Con Dive & Cleanup! 6:30 Early Bird Gathering. Diving between 7:30am – 9:30am. 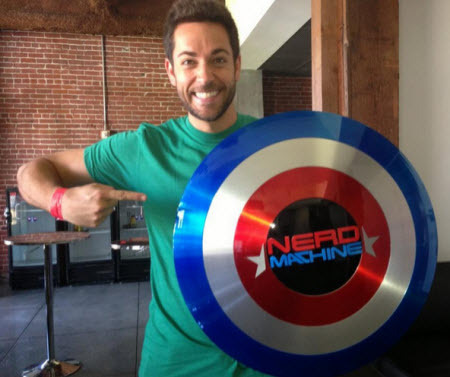 A Comic-Con Pass is not required to attend this event. To all Scuba Divers and Ocean Lovers traveling to San Diego for this years Comic-Con event, come join the Roddenberry Dive Team for a morning of adventure as we dive the beautiful La Jolla’s Underwater Ecological Preserve. We will be joined by aquarists and scientists from the Birch Aquarium at Scripps. They will talk to us about local marine life, including the elusive leopard sharks we see in the area this time of year. Generally, as scuba divers, we never need an excuse to go diving but in this particular case we’ve joined forces to provide our out-of-town aquatic brethren an unforgettable dive opportunity. RSVP REQUIRED. Click Here to RSVP! For the early birds; a few of us will be arriving at La Jolla Shores (next to “Kellog Park”) around 6:30am to enjoy the sights and sounds of the ocean as the early morning sun shines onto the majestic pacific. Coffee, juice, yogurt, donuts and muffins will be available. We plan on gathering at one of the beach-side fire-pits for a bit of warmth and camaraderie. (If you have extras chairs and are willing to bring them, please do so for our out of town guests). Divers will start suiting up around 7:30am for an early morning dive adventure to tour the La Jolla Underwater Canyon. Once geared-up and ready, we’ll do a surface-swim out about 100 yards to where the depth is approximately 40+ feet. After a final buddy/gear check, we’ll descend to bottom where we’ll continue west to a maximum depth of 100’. From there, each buddy team, while monitoring their depth, time and air, will explore this magnificent underwater realm and gradually work their way east back to the shore. The La Jolla Shore water temperature ranges from the low 50‘s at depth to the high 60‘s at the surface. 7mm wetsuits or Drysuits are recommended. ALL dive gear (including Tanks &l; Weights) must be brought with you as there will be no rentals available on site. However, gear rental are available prior 7/18/12 from local dive shops. If renting gear, remember to call ahead and reserve your gear and pick it up the day before (7/17/12). La Jolla Shores has an extremely convenient parking lot located next to the beach and only a few yards from where we’ll be gathering and doing our dives. The cross-streets are Calle Frescota & Camino del Oro. Click HERE to see a map of the dive site and parking lot. If you plan on attending this event, please RSVP by clicking the button below. When you RSVP for this Comic Con dive adventure, you will be taken to a confirmation page with more information about the dive. You will receive a reminder email two weeks prior to the dive and a final confirmation email one week before the dive. All divers must complete a RDT Release of Liability form to dive. Not a member? Why not? It is FREE to join at roddenberrydiveteam.com for special discounts, unique events, trips and experiences, and information about upcoming events. Join us an boldly go…. If you have any questions regarding this RDT dive, please email us at diveteam@roddenberry.com. Join us after the dive at the Birch Aquarium at Scripps for a special Comic-Con Kelp Tank Dive Show at 12:30pm. Rod Roddenberry will be the special guest diver for this Kelp Tank Dive Show. The kelp tank dive show is free with Aquarium admission. Iron Man Exhibit Preview: Innoventions at Disneyland Park TONIGHT for Annual Passholders! Celebrate the theatrical release of Iron Man 3 with the opening of the new exhibit, Iron Man Tech Presented by Stark Industries, inside Innoventions. Annual Passholders can get a special preview of the exhibit before it opens to the general public, including the chance to virtually suit up with and test pieces of the Mark 42 armor. Plus, Passholders will have access to select Tomorrowland attractions for an additional 2 hours after regular Disneyland Park closing. Iron Man 3 in theaters May 3, 2013! With Limited Time Annual Passholder Magic, Annual Passholders have exciting opportunities, offers and events like this. Iron Man Exhibit Preview: 6:00 p.m. – 1:00 a.m. Please note that available attractions and services are subject to change without notice. The remainder of the Park will not be open. Annual Passholders may register in person for the event beginning at 1:00 p.m. on the day of the event near the entrance to Innoventions in Tomorrowland in Disneyland Park. There is no online or phone registration for this event. It is recommended that all members of your party register together. All participating Guests (ages 3 and older) must be valid Annual Passholders on the day of the event. Children under 3 years of age are permitted to attend the event as long as space is available and wristband is obtained through the registration process. All participating Annual Passholders must present their active Annual Passport to the event Cast Member, who will check event availability. Photo ID may be required. Event wristbands are required for admission to both the exhibit and the Tomorrowland After-Hours event. Wristbands will be distributed upon event registration. Registration and distribution of event wristbands will be based on availability. Space is limited. Admission to the exhibit area will be granted subject to capacity, scheduled park events and other restrictions. The exhibit experience may include long wait periods, is subject to temporary closures and may be cancelled at any time. The event does not guarantee access to any attraction or location. Registered Passholders who have received a wristband may enter the Tomorrowland portion of the event up until 30 minutes prior to the end of the event. Wristbands may not be sold or transferred for commercial purposes and have no cash value. Parking for this event will be at the Toy Story parking area and the Mickey & Friends parking structure. Standard parking fees will apply. Mickey & Friends parking trams and Toy Story shuttles will continue to run until 1:30 a.m., however, shuttle service to all other Resort parking lots will end at their normally scheduled times following Disneyland Park closing. Information, event elements, attractions and services are subject to restrictions, change and cancellation without notice. Dark Horse Comics Editor Randy Stradley posted information of what fans can expect from Dark Horse at Star Wars Celebration VI. Get exclusive Star Wars Celebration VI “GALACTIC PASSPORT” and collect one-of-a-kind stamps from us and Star Wars publishers DK, Workman, Del Rey, and Scholastic. 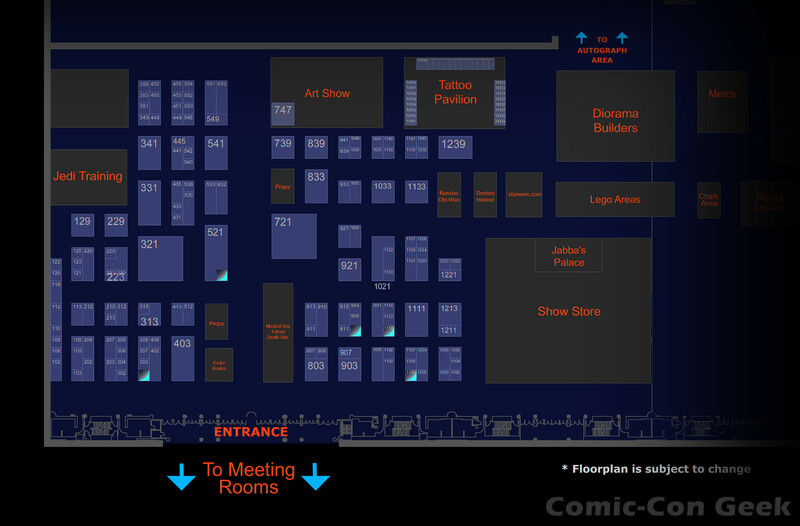 Check our schedule for SIGNINGS, PANELS, and SPECIAL EVENTS. Spin the Dark Horse PRIZE WHEEL for a chance to win an Alex Ross Star Wars print, a Dawn of the Jedi patch, an exclusive Celebration VI button pack, or Star Wars comics—either in print or digital. Take your PICTURE with some of our Star Wars cosplayer friends and in front of our awesome Star Wars art! Send a twitpic to @darkhorsecomics or post it on http://www.facebook.com/darkhorsecomics! Check out our STORMTROOPER HELMET illustrated by Chris Scalf. We’ll be auctioning it off on eBay for the Make-a-Wish Foundation in honor of the 501st Legion. Check out Star Wars comics in the DARK HORSE STORE, brought to you by TATE’S COMICS of Lauderhill, Florida! See what’s on the Star Wars horizon at Dark Horse with John Jackson Miller, Jan Duursema, Doug Wheatley, Dave Marshall, and Randy Stradley. Hosted by Pablo Hidalgo. Costuming is an art form, and quite possibly no group takes that art form higher than Star Wars fans. With judge Randy Stradley, long-time Star Wars comics writer, editor, and Pith Lord! Brian Wood talks about how he’s finding a new take on the core characters of the Original Trilogy Era in the upcoming series from Dark Horse Comics. A Writers’ Roundtable Discussion with John Jackson Miller, Jan Duursema, Dave Marshall, and Randy Stradley of Dark Horse Comics. It just wouldn’t be Celebration without the Star Wars tattoo show and competition, a tradition since 2005. Be amazed by the best Star Wars tattoos in different categories, and see how your ratings compare with the judges, one of whom is Dark Horse Comics’ very own Pith Lord Randy Stradley. 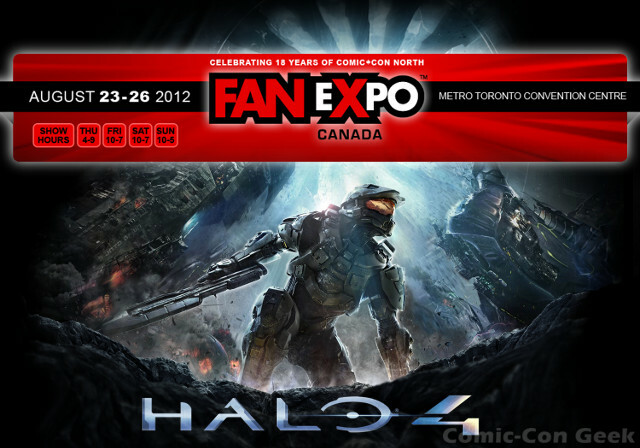 Fan Expo Canada 2012 Announces Halo 4 Sneak Peek, Video Game Presentations, Tournaments and More! FAN EXPO CANADA™ ANNOUNCES A SNEAK PEEK OF HALO 4, THE BIGGEST VIDEO GAME RELEASE IN HISTORY! PLUS: Meet the Cast and Creators of Far Cry 3, Assassin’s Creed, Deus Ex: Human Revolution and Many More! This year’s Fan Expo Canada™ brings a special preview of the much-anticipated Halo 4, giving fans the exclusive chance to play the next installment of the Halo franchise before its release to the public on November 6, 2012. Expected to be the biggest video game release in history, the preview will surely be a summer highlight for gaming fans at Fan Expo Canada™. The gameplay excitement shores up an incredible line-up of special guests and gaming attractions. Fan Expo Canada™ offers gaming fanatics a diverse array of programming, from how-to workshops to live Q&A sessions from working professionals in the industry. 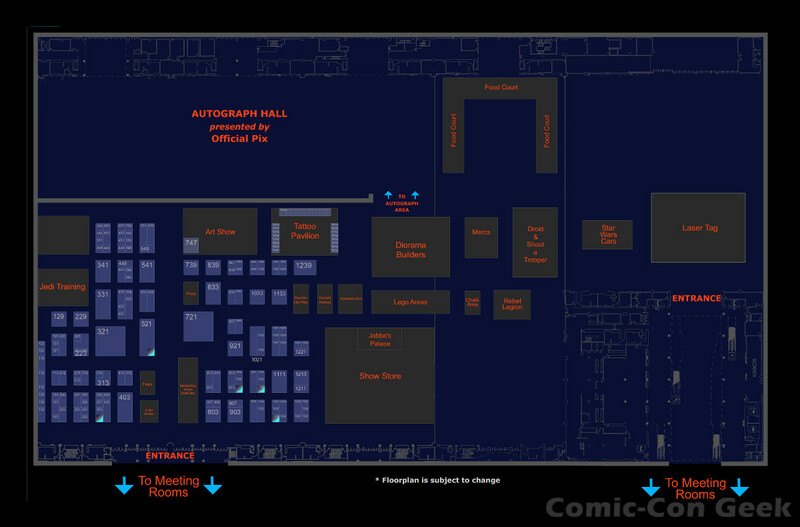 Celebrating 18 years as the Comic Con of the North, Fan Expo Canada™ will be at the Metro Toronto Convention Centre August 23-26, 2012. Participate in one of many exciting video game tournaments, get to try out upcoming games, sit in on video game publisher presentations or just explore the many different activities in the EB Games Gaming Expo. This is the event that gamers simply CAN-NOT-MISS! With over 80,000 fans expected and more than 700 exhibitors and retail vendors covering over 400,000 square feet, Fan Expo Canada™ is going to be the hottest event of the summer.